Your first novel, Deceit, is a complex tale of history, political intrigue, the Titanic and some old diaries. What was your inspiration for writing Deceit? What made you decide to tell this story? How did you come up with the plot? I have always been fascinated by the mysteries surrounding the Titanic disaster which compelled me to formulate my own theory behind the disaster. I originally intended the story to be a historical re-telling of the disaster but with so many accounts and theories about Titanic flooding the literary marketplace I opted for a fictionalized version that maintains the historical aspects but expands the story to include a link between present and past. It was a long process that came to light as I continued to write. Creativity flows to the open mind. What can you tell me about your current work-in-progress? The sixth novel in the series is based on a World War One little known travesty that is traced from its mention in one of the diaries to a discovery of a huge cover-up to the terrible occurrence. You’re an admitted history buff. Is there another historical event that you might write about someday? The present series deals with historical-events that were a part of everyday life in the last turn of the century. Mind you the assassination of the Romanovs has always intrigued me. You’ve probably met dozens and dozens of people who say “I want to write a book about--- someday.” As you know, writing is hard work and takes discipline. What is your writing routine? I make a point of writing everyday regardless of whether it’s productive or not. Once I’m in my zone I follow a preconceived plot then let the creativity flow. You and I “met” via social media. How have Twitter, blogging, Facebook and other forms of social media helped you to interact with readers? What do you imagine it would be like to be a debut author if there was no such thing as GoodReads or Twitter? 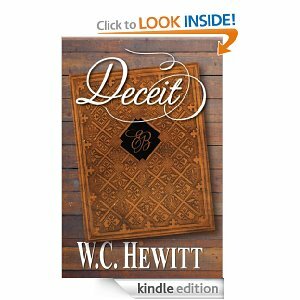 I can say that the social media has made me an International author and has made Deceit available world-wide. It would definitely limit your exposure. Self-promotion is important, especially to Indie authors and established publishers should take advantage of the social media to promote their author’s and their works since these avenues are so readily available. Tell me about two authors who have influenced you; whose writing you hope to emulate? I have always enjoyed the works of Ian Fleming and Clive Cussler and try to look through their eyes as I write. The story of the Titanic has provided so much fodder for books and movies and more. What is one of the most interesting bits of trivia about the Titanic that you have come across? There is so much fact and fiction regarding Titanic to wade through it is hard to single out one pertinent fact. Perhaps the fact that, because of the coal strike in Britain, White Star diverted all the coal from their other ships to Titanic for the Maiden Voyage. The passengers from those other ships were happy to be allowed passage on Titanic, (which wasn’t filled to capacity when she left harbour), which in essence rang the death knell for so many of them. What is the one piece of writing advice you could offer to an aspiring novelist? Always find the time to write everyday. Somerset Maugham once said: “If you can tell stories, create characters, devise incidents, and have sincerity and passion, it doesn’t matter a damn how you write.” Do you agree or disagree with this quote? Why or why not? I have to agree. Many authors meet their criteria through these root aspects and are very successful. To follow a strict adherence only stifles creativity. There’s more to express through emotion than trying to follow a path to create a textbook. The last question is a bit of a freebie. What is the one thing you wish I had asked you but didn’t? Now go ahead and ask and answer that question. Q. Who do you base your main character on? A. Elizabeth Brunnette is based on a real person. Though the exploits I have involved her in do seem extraordinary, and from another time period, they are not beyond the capabilities of the young lady I have chosen to represent her. I wanted to add a little mystery to the interview. W.C. Hewitt is a Canadian author from Hamilton, Ontario. 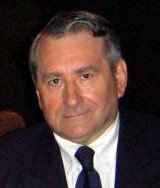 A historian and Titanic enthusiast, he holds a deep regard for the history of the turn of the last century with the birth of modern civilization when mankind lost its innocence. Studying human nature, while working in the public sector, he draws on his experiences to create believable characters in a time of marvel and mayhem. Elizabeth Brunnette was born to represent a symbol of those times.